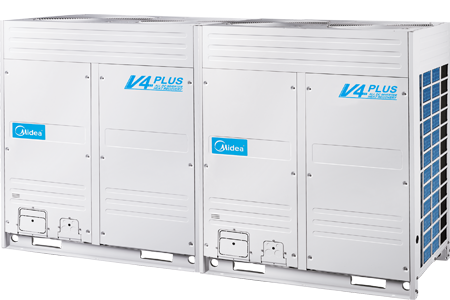 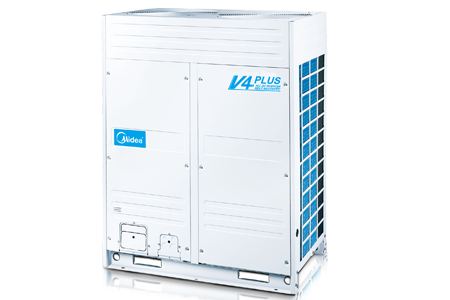 The all DC inverter V4 Plus heat recovery series, which can offers simultaneous cooling and heating operation in one system. 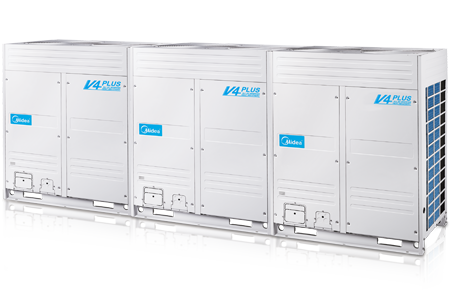 The energy by-product from cooling or heating is transferred to where it is required by using the balanced heat exchanger function, which saves up to 50% in costs compared with a conventional heat pump system. 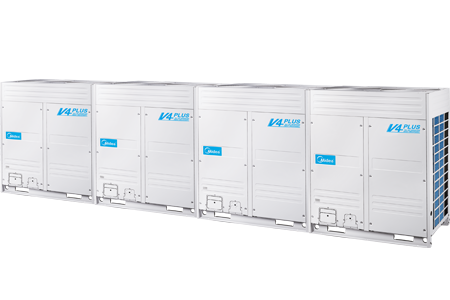 All DC inverter compressors make the capacity output better distributed, and always work at 60-140Hz which is the most efficient range. 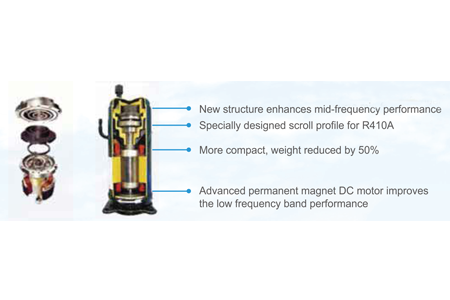 It makes the efficiency more than 30% higher than the normal. 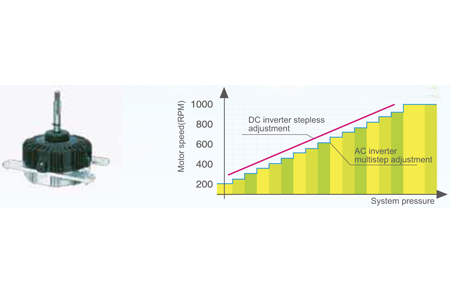 According to the running load and system pressure, the system controls the speed of DC fan to achieve the minimum energy consumption and best performance.